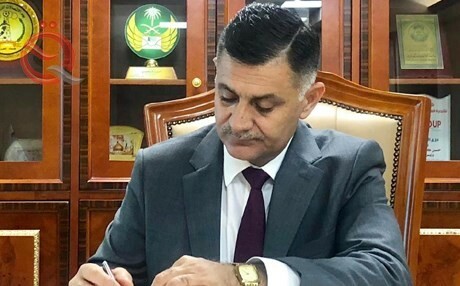 Telecom recognizes "our services are very bad"
Minister of Communications, Naeem Al-Rubaie, stressed that the services provided in the field of telecommunications in the country are "very bad" , revealing the Ministry's intention to review all previous contracts. Al-Rubaie said during a meeting on Monday with a number of companies contracting with the ministry: "The position of the ministry from the state and people has become very weak due to poor services and the cost of the Internet with a very poor service," noting that "the citizen does not benefit from this service, Peak time". Rubaie added that "the ministry will review all previous contracts," stressing that "we are required to modify what we see unfair to the state." Al-Rubaie pointed out that "some companies to the Ministry of the Ministry of large amounts up to billions and did not pay even though the Ministry itself is a city of the Ministry of Finance because our companies are losing and not a winner," pointing out that "there is a decision to stop the companies city through cutting the Internet and will give the last opportunity to Next Thursday to pay off the debts owed by them and we will take other legal action against the retarded. " Al-Rubaie pointed out that he will "name the companies that contributed to the smuggling of the Internet after this week," stressing that "we have evidence and documents that prove who are the companies that evade capacity and we will announce that the ministry is harmed because of smuggling per month."